May 19, 2014  Many grain bins and silos remain full, long after last fall's harvest because the railroads are behind in shipping. A slowdown in rail service is delaying deliveries of other commodities too. May 14, 2014  The U.N. organization that oversees aviation is taking a big step toward requiring global satellite tracking of all commercial flights. The move follows the disappearance of a Malaysian Airlines jet. April 29, 2014  Over the last two days, deadly tornadoes have left a path of destruction in their wake. One subdivision in Vilonia, Arkansas, was particularly hard hit on Sunday. April 25, 2014  Northwestern University football players are voting Thursday on whether to unionize. Earlier, the National Labor Relations Board in Chicago ruled that the athletes' team requirements essentially make them employees of the university. This, in turn, means they can form a union. The university is appealing the NLRB ruling to the full board. April 22, 2014  A study suggests buses offering lower fares, with wide seats and amenities such as WiFi, are seeing significant growth in ridership on trips up to 500 miles, sometimes at the expense of airlines. 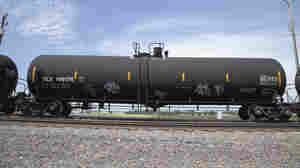 April 15, 2014  Nine months after the deadly crash of a runaway oil train just over the U.S. border in Canada, U.S. regulators still haven't enacted new safety standards for tank cars known for their thin shells. April 8, 2014  The nation's airlines are running late more often and losing more suitcases. But passengers are complaining less, that's boosted airline quality ratings to their highest level ever. April 4, 2014  It's been the home of the Cubs since 1916, and in all that time, the team has never won a World Series. So why do fans keep showing up? 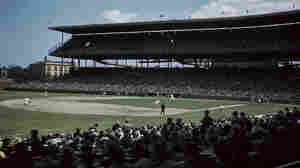 Locals say Wrigley's hallowed status isn't just about baseball. March 31, 2014  A Chicago law firm is taking the first legal action against Malaysian Airlines and Boeing, the maker of the 777 that disappeared over the Indian Ocean, on behalf of the families of the passengers. March 27, 2014  The decision still must be approved by the full NLRB board in Washington, D.C. The regional director ruled football players at Northwestern qualify as employees and may therefore unionize. March 26, 2014  The National Labor Relations Board says Northwestern University football players can unionize. It's a win for student athletes, but the university says it will appeal.